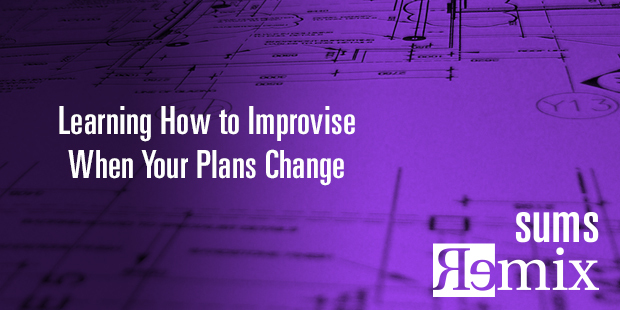 We do not always respond well when the plans change. Even though all leaders intellectually know that things often don’t go as planned, they are typically not ready that possibility becomes a reality. In this excerpt from SUMS Remix 24, we will explore how to integrate improvisational skills in your reactions to those times when “things didn’t turn out like we planned.” The book this information comes from is Yes, And by Kelly Leonard and Tom Yorton. To learn more about being involved in your leading when things don’t go like you planned, start a conversation with the Auxano team today.